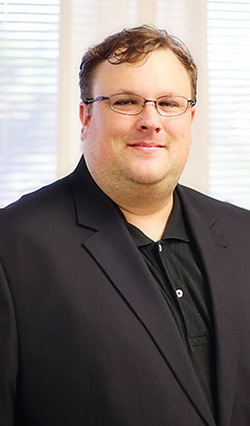 Dr. Matthew Holcomb is a clinical neuropsychologist licensed in Louisiana and Mississippi. He received his Master’s in Clinical Psychology from Mississippi State University and Ph.D. in School Psychology from Ball State University. He completed a doctoral internship in Pediatric and Adult Neuropsychology at the London Health Sciences Center and a two-year fellowship in pediatric neuropsychology at Dartmouth Medical School. Dr. Holcomb has regularly scheduled clinic hours in both our Metairie and Mandeville (Northshore) offices where he provides clinical neuropsychological, cognitive, and psychoeducational assessment services for individuals across the lifespan. He is also available for forensic evaluations and consultation. Dr. Holcomb is experienced with a wide range of clinical, medical, and neurological conditions including epilepsy, cancer, mood and anxiety disorders, concussion, traumatic brain injury, attention deficit hyperactivity disorder, and Autism Spectrum Disorder.